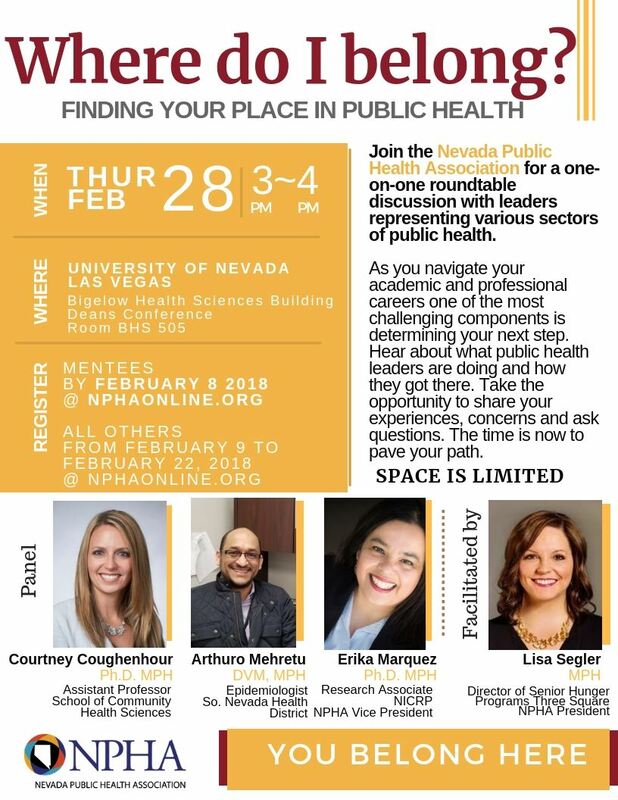 Join the Nevada Public Health Association for a one-on-one round table discussion. As you navigate your academic and professional careers one of the most challenging components is determining your next step. Hear about what public health leaders are doing and how they got there. Take the opportunity to share your experiences, concerns and ask questions. The time is now to pave your path.